Hiroshi has been a Partnership Manager at Orange Labs Tokyo, Orange Group’s wholly-owned open innovation center in Tokyo since 2010. At Orange Labs Tokyo, Hiroshi is in charge of developing partnership with start-ups in Japan and Asia. Hiroshi launched a startup accelerator program, Orange Fab Asia in 2013 in Tokyo followed by Seoul and Taipei in 2014 supporting Asia based startups to go global. Hiroshi is also Iris Capital’s Venture Partner in Japan to source investment deals as well as to support portfolio companies. Prior to that, Hiroshi was a Marketing Strategist at Sunbridge Solutions, consulting and incubation service provider specialized in IT. Hiroshi managed to launch an operation in Japan as a master distributor of several foreign startups. Previously, he worked at Mitsui & co., Japan’s one of largest trading company as a Client Partner, where he joined Mitsui’s joint venture with US start-up for e-business consulting and led projects on Internet business for some enterprise customers. 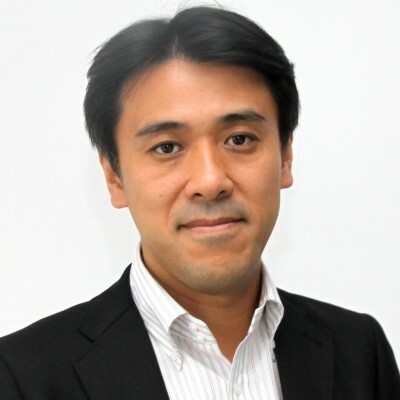 He started his career at Japan Management Systems, Industrial Bank of Japan Group’s consulting firm to deliver consulting projects in strategy, business process, and organization restructuring for various industries including IT. Hiroshi holds an MBA from Rotterdam School of Management (The Netherlands). He studied at Waseda University in Mechanical Engineering (Japan).